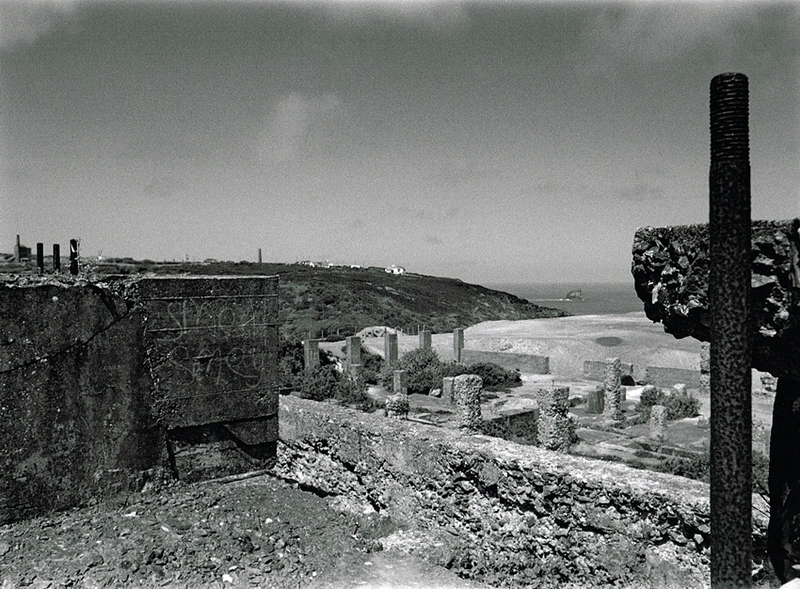 Wheal Kitty Mine stands high above Trevaunance Cove which overlooks St Agnes. The mine worked from 1834-1930, during its life it produced 13,121 tons of Tin and 2,024 tons of Copper. 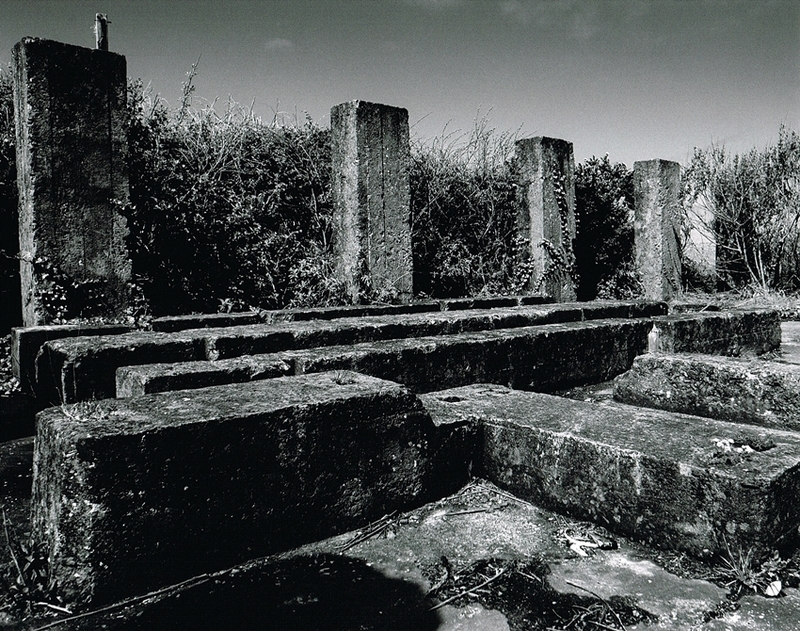 The significant remains are centred around the 65″ Pumping Engine House on Sara’s Shaft. In the valley below there are extensive remains of the dressing floors. Some of these date from the early 20th century, the rest date from the 1926 re-working when the mine opened under new management. 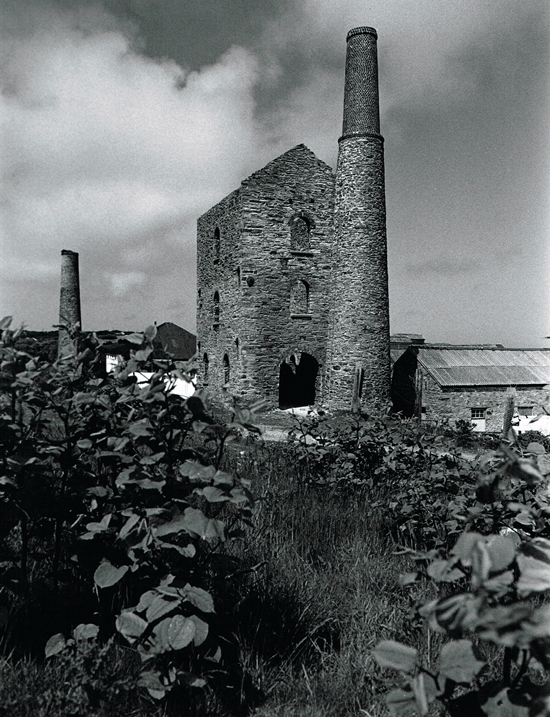 Wheal Kitty Mine 1: The first image on this page dates from the early 1990’s. The fine 65″ Engine House with the Whim House behind. The engine was constructed by the Perran Foundry in 1852. Subsequently the engine was installed here in 1910 when the shaft was deepened. This was the last beam engine to work in the St Agnes Area. This modern mill was equipped with a battery of Californian Stamps, shaking tables and two Brunton Calciners. The calciners were connected to a flue that led to a square chimney that still survives on the site. There was a plan in 1929 to connect with neighbouring West Kitty and Polberro Mines in an attempt to exploit new lodes that were known to exist. The connection was subsequently made the project failed due to the low price of Tin. When the mine finally closed in 1930 most of the processing equipment was transferred across the valley to Polberro Mine. The Engine House is now the centre piece of an industrial estate. The associated buildings have also been very well restored and converted into offices. 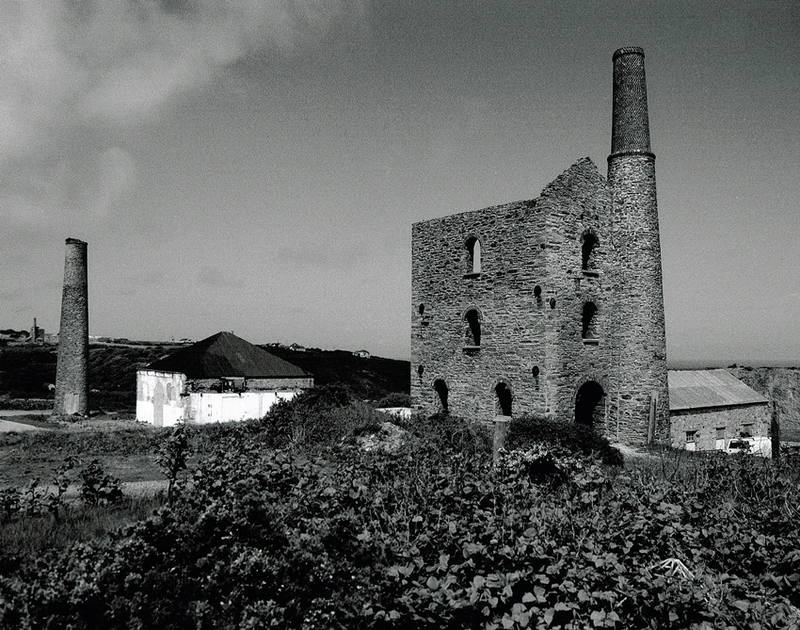 Wheal Kitty Mine 2: The site as it looks today. The proud Engine House has been very well restored and is now used as offices. 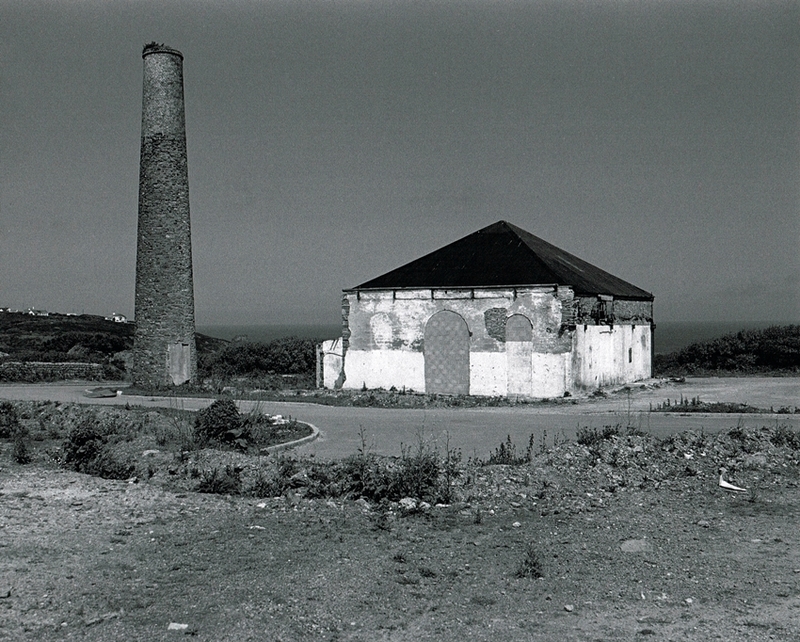 Wheal Kitty Mine 3: A second image of the Engine House from the 1990’s. 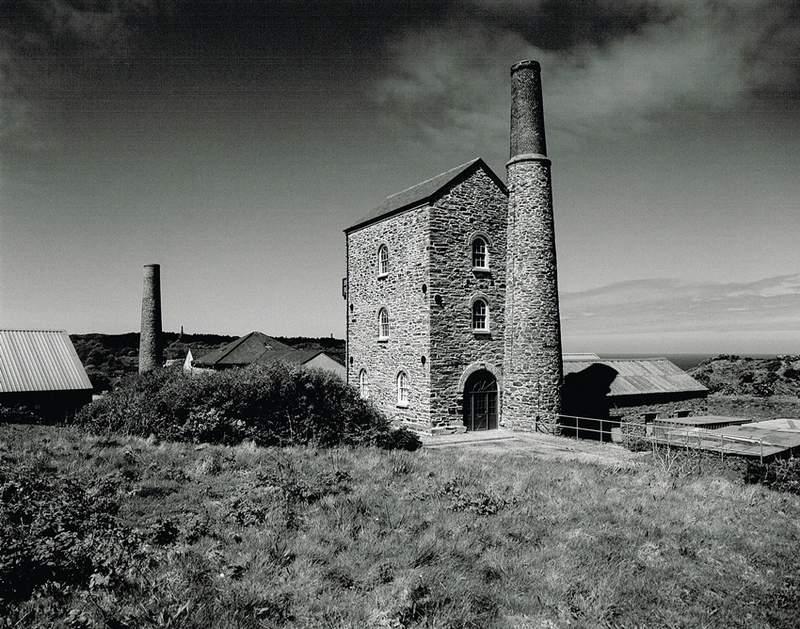 Wheal Kitty Mine 4: A second comparison image of the restored Engine House. It really has been done very well, certainly one of my favourites. Wheal Kitty Mine 5: The whim winding house for the mine, the shaft here was 950ft deep. The building contained a Holman’s Geared Whim Engine. This has also been renovated. 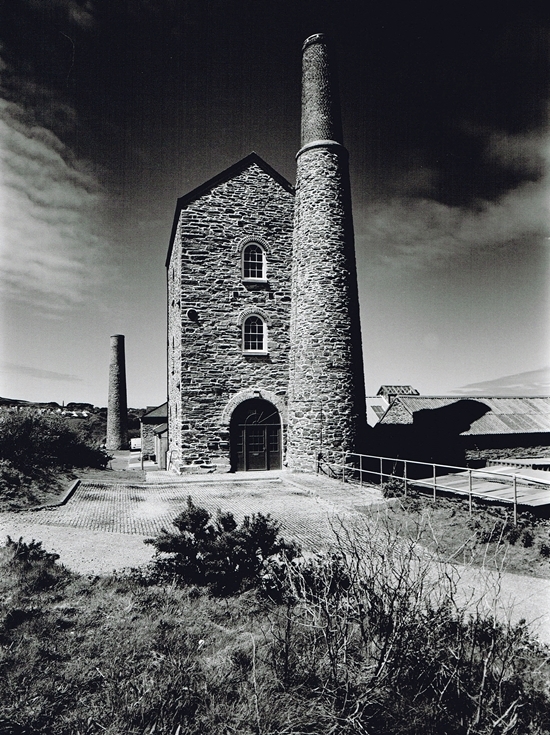 The rest of the images on this Wheal Kitty Mine page were taken around the extensive concrete dressing floors. Backing onto the site are the huge dumps of mine waste that belonged to the mine. Wheal Kitty Mine 6: Looking across the dressing floors from the Californian Stamps foundations. Across the valley is the fine Engine House of Polberro Mine. Wheal Kitty Mine 7: Many of the mounting bolts for the long removed machinery still remain in their concrete foundations. 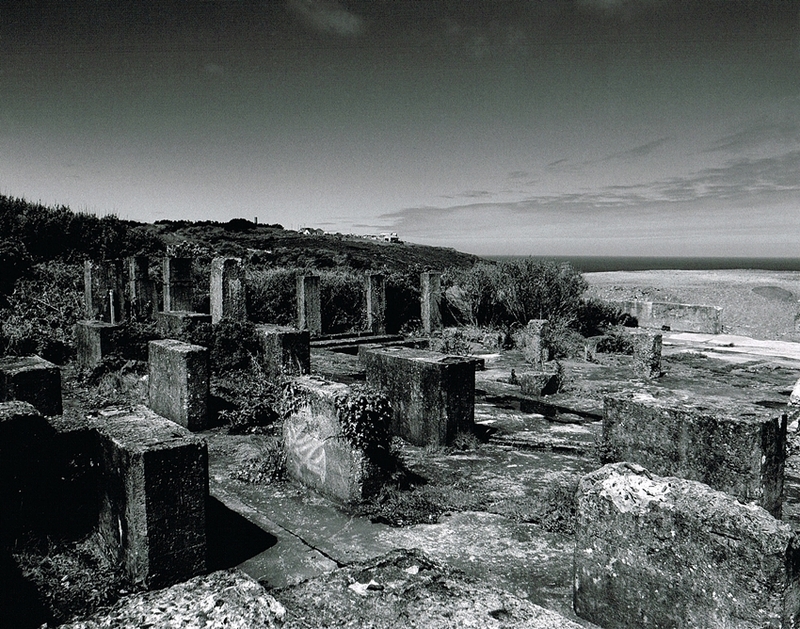 Wheal Kitty Mine 8: The processing floors were enclosed in a large building, these may have been roof supports. 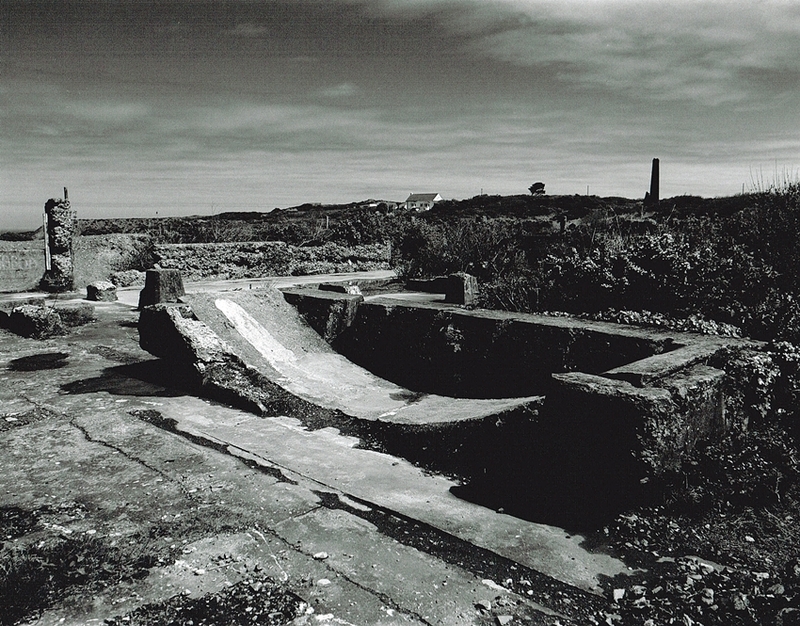 Wheal Kitty Mines 9: These are the concrete foundations for the many Shaking Tables that were installed in the mill. Beside the mill in the background on the right is a huge mountain of mine waste. 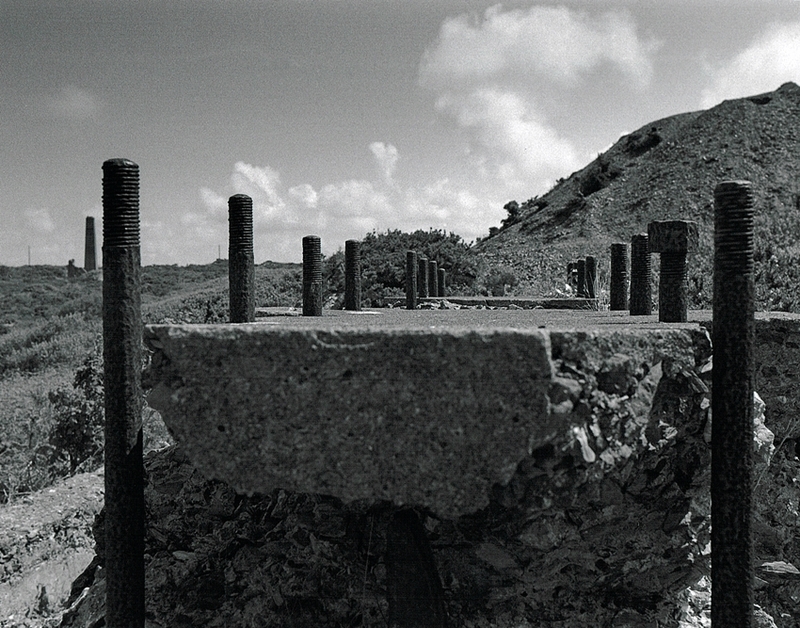 Wheal Kitty Mines 10: Another image of the Shaking Table plinths. Wheal Kitty Mines 11: The mill floors in the other direction. 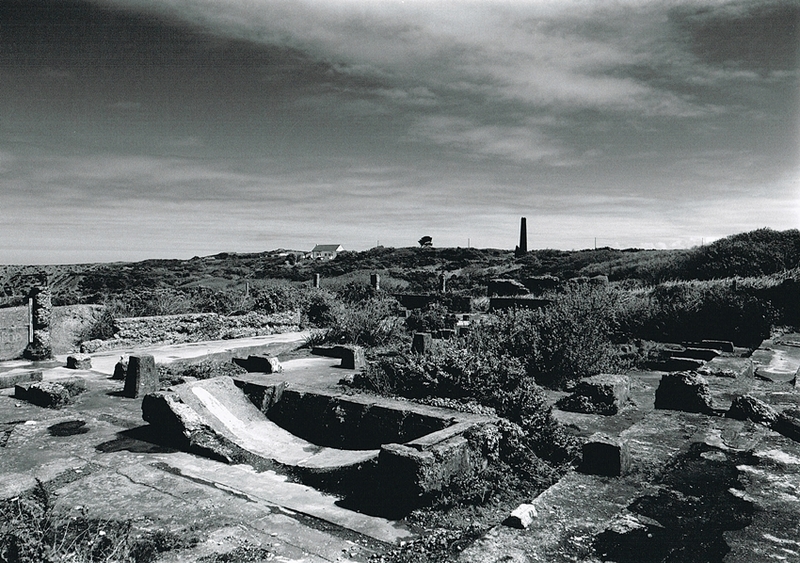 In the foreground are the foundations of an engine that powered the mill. The chimney at the rear served the two Brunton Calciners on the site. 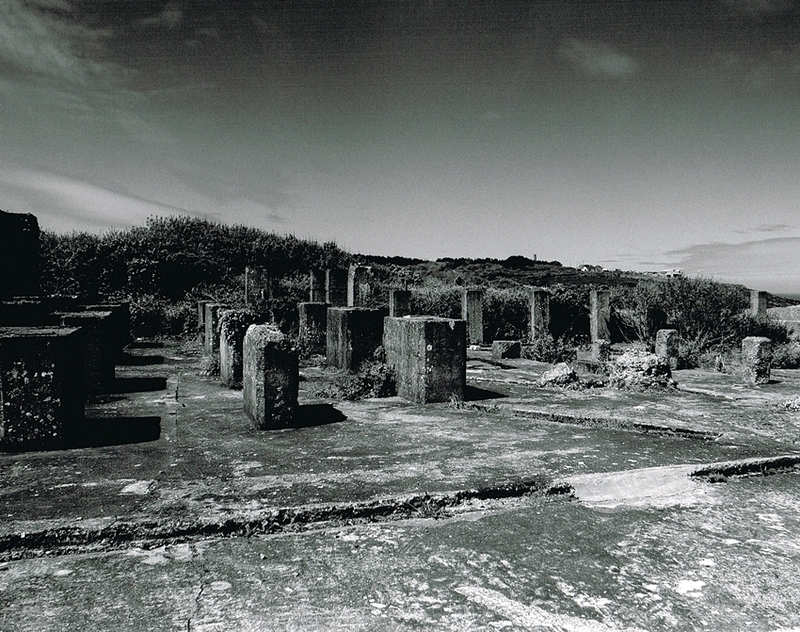 Wheal Kitty Mines 12: A final image of the dressing floors, sadly these are being lost to the undergrowth.